I've bought and used many different knee "pillows" over the years but this one is perfect. Beats all of them. 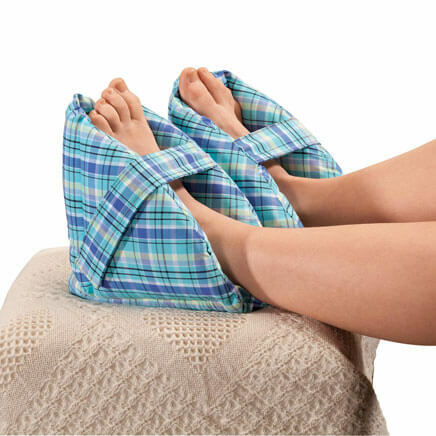 Long to support from knee down to and including ankles (which regular knee pillows do not do). narrow for easy use, even when flipping side to side like I do. Adjusts to 3 different thicknesses. I like the fact that this pillow can be divided into two. Together they were too high and firm to be comfortable for my knees following surgery. Divided it is just perfect! This is a very useful pillow. 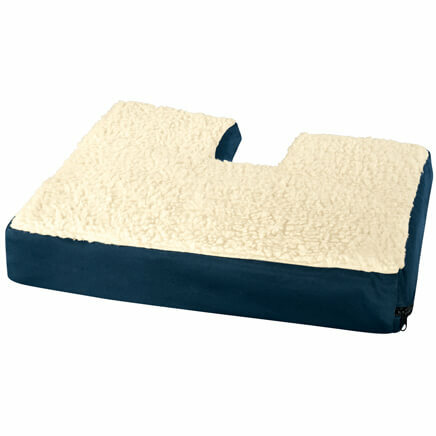 If you are a side sleeper place between your knees and truly relieves hip and back pain. I've used for years - even had to replace it! Well worth the price. This is a couple of pieces of foam rubber with a cloth case; nothing fancy. I've used it for my chondromalacia (loose kneecaps: put it in the bed sideways, right above where your knees go) for several years. It's also perfect for a LUMBAR cushion: it flattens just enough to not push me too far forward, but enough to give me lower back support. I use this product to support my leg while sleeping to decrease pressure on my hip, knee, and ankle. It is light weight. The cover is a little difficult to put on. Some ads say it is satin,, but it is cotton and polyester. I buy every 2 yrs, No more back pain. I had lower back pain because I'm a side-sleeper, but this knee pillow has given me the support that I need to keep my spine aligned. Now after waking up with a back ache for many months, my husband finally tried it and has no more pain either. Having two foam pieces makes this very useful. HOWEVER, it needs to come with the original SATIN cover. The current cover is NOT satin, making the pieces impossible to get into the cover! The earlier version of this came with a satin cover which was difficult to keep on the pillow, but at least you could get it on. The new cover is NOT satin, which makes it a real pain to get on when you use both halves of the pillow, but it will probably not slip off. The description needs to be changed. There is absolutely no way I'll be able to get the cotton/polyester cover on the two pieces. Very disappointed. How am I to rate thIs product when I have not received the knee pillow. I bought it based on description in catalog. 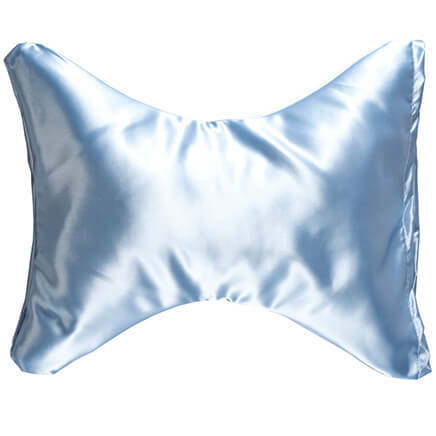 I do sleep with a pillow for support and thought this would be a good replacement. It wasn't. It wasn't wide enough so I could not get the knne pillow to position the way I wanted it. There is NO give to the foam at all. Not comfortable. It's on the way back. My knees need a little help and this looked good at the price. 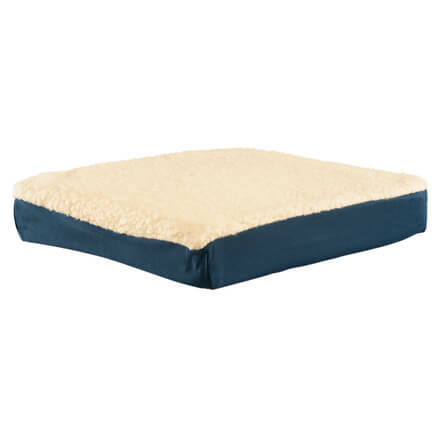 My husband uses this pillow nightly and it works great for him. He needed a new one and I am glad it was on sale. I also got to use a $10.00 voucher which I received in the mail, which was a very nice unexpected surprise. I "Kneeded" this pillow because it's longer than the pillow I'm using now. Having hip surgery soon and needed a pillow to place between my legs. This does work, but I think I'd prefer a body pillow. Hopping the pillow will work better than others. For comfort while trying to get to sleep. Have had both knees replaced. Hoping it will add to leg comfort during sleep. Husband has had knee replacement & needed item. 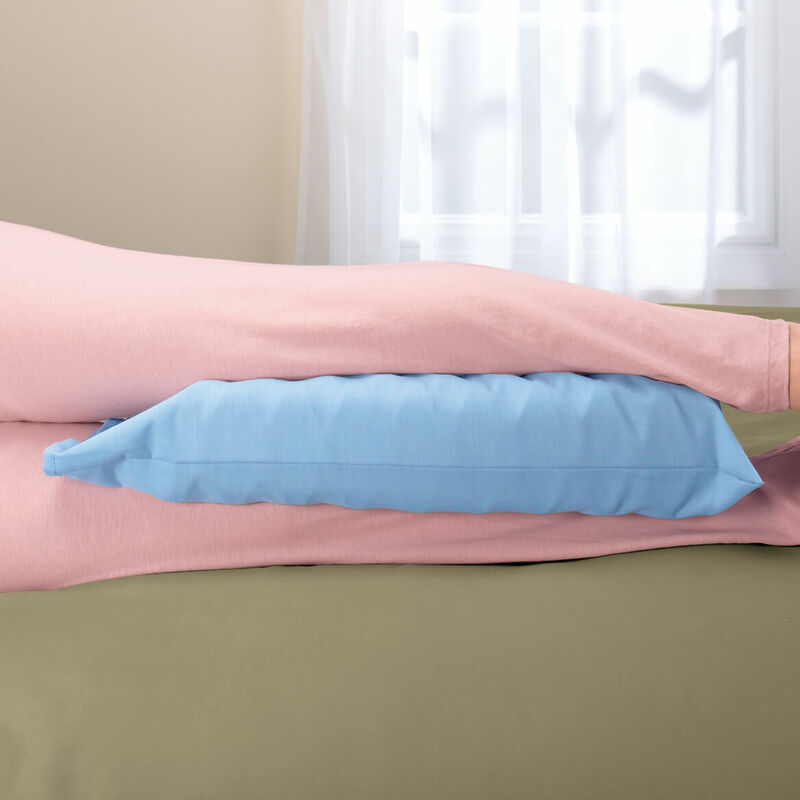 This pillow solves a long-standing problem of knee pain while sleeping. I need it for my 100 years old mother. She really needs it. Hope it arrives soon. 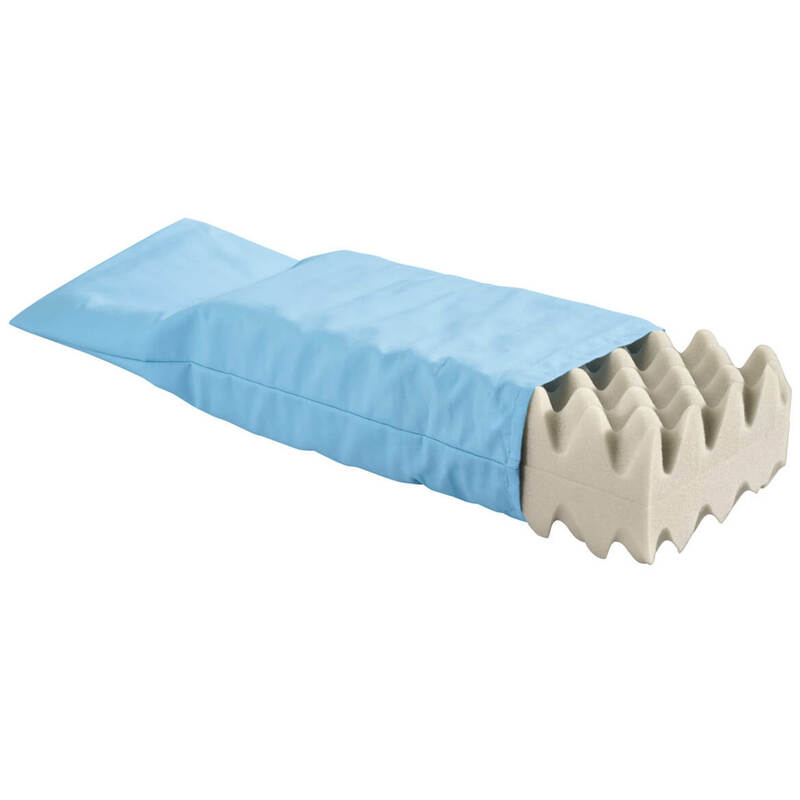 Less complicated looking than the other knee pillows, and it can be smaller by removing one of the two inserts. Easily maneuverable when I shift positions. My wife has used this knee pillow for years!! She loves it! For my knees. It looks bigger in the catalog. 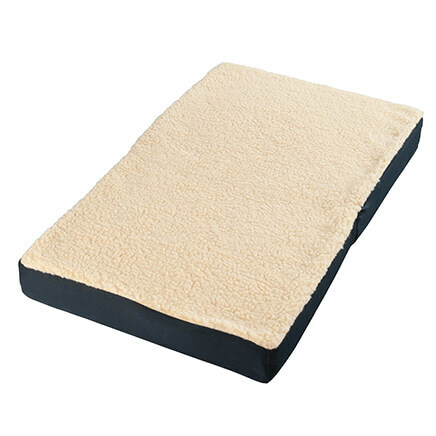 I have tried to sleep with a regular pillow to relieve back strain, but it is cumbersome. My mom has one of these and thought I would give it a try. I have a friend who selected this to use to help her back problems. Use it for my back . thought it would help, but it is too thick & inflexable! Had one before, worked perfectly. I had back surgery and it helps to keep the pain level down. Regular pillows are too thick. I have had this for years and it helps support my back. Great for my mother-in-law who had a stroke. Always in a fetal position. Looks comfortable and foam might hold it's shape longer than fiberfill. This is probably my 8th knee pillow. I have used them for years and years. I got my husband using one, too. The length is perfect - longer than most other knee pillows which cause my ankles to knock together. I love love love this! To sleep better at night. To keep my knees apart and be more comfortable. My Dr. said to do t his. My knee pillows are either uncomfortably thick or too thin so they don't separate my knees. I am looking for a knee pillow I can adjust. This one seems to have a space in the middle where extra padding could be added. Is that right? BEST ANSWER: Thank you for your question. The pillow is 4 inches high. There is not much room to add any other padding and it is not designed for it. We hope this information will be of help to you.